While a decision has not been made, Phil Jackson is leaning toward taking a front-office job with the New York Knicks, a source close to the team tells ESPN’s Stephen A. Smith. Jackson’s role would be president of basketball operations, in complete control of all basketball-related matters, according to the source. Read more after the jumpIt is unclear whether the decision would include an agreement to coach the Knicks next season, the source said. A decision is expected sometime next week. Knicks president Steve Mills had offered the head-coaching position to Jackson but he declined. The 68-year-old Hall of Fame coach has said that he would like to move into a front office and run a team. 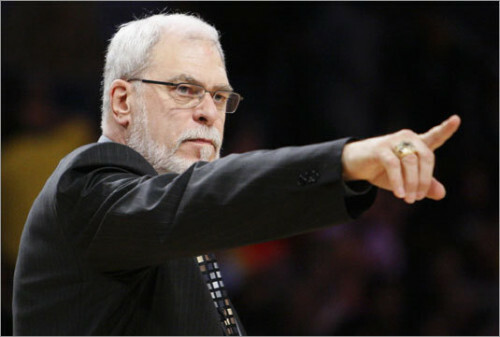 This entry was posted in GETPlugged and tagged Coaching Legends, NBA, New York Knicks, NY Knicks, Phil Jackson. Bookmark the permalink.